A world leader in specialty clamps, Murray Corporation has joined forces with Turbosmart to supply the performance market with their unique Turbo Seal Series Specialty Worm Drive Clamps. A constant tension stainless steel worm gear clamp designed to compensate for the effects of thermal cycling and/or compression set of hose. Turbo Seal’s convoluted spring action outer-band solves this problem and features a unique inner band profile to provide superior sealing pressure via its two raised ribs and the chamfered edges eliminate damage to the hose when tightened. 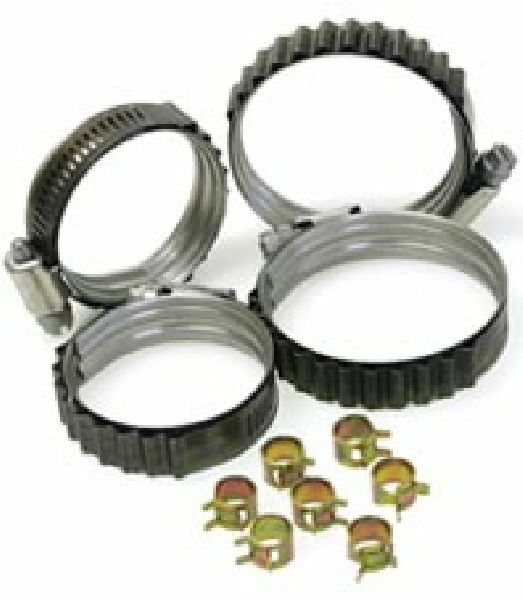 Murray’s unique “Dual Bead Shield” concentrates band sealing pressure, increasing performance up to 30% compared to standard smooth liners. Flanged edges protect soft hose compounds.